Yesterday, we kicked off Online Reviews Month, and so today I want to talk about how Online Reviews impact search rankings. 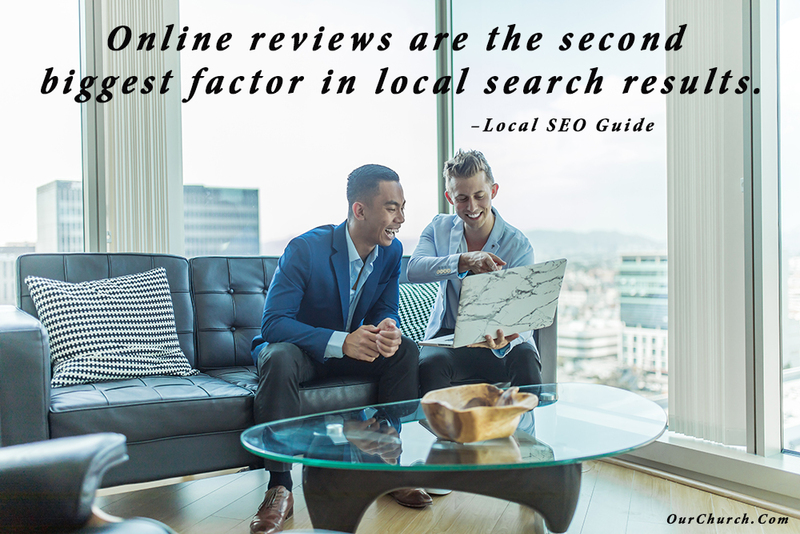 According to the 2017 Local SEO Ranking Factors report done by Local SEO Guide, online reviews were the #2 most important factor in local search rankings. Is someone really going to visit my church or check out my nonprofit just because a bunch of people they’ve never met gave it high ratings and said nice things about us in a review? Yes, actually they will. 90% of people say online reviews factor into their decision making. But people won’t even have a chance to make a decision about your organization, if they can’t find it. And if you’ve got few or no online reviews, your search rankings will be lower, making it less likely people will find you when doing an online search. Calculate the average number of reviews the 3 organizations in the “local 3 pack” have. Then click the “More Places” link at the bottom of the local 3 pack. 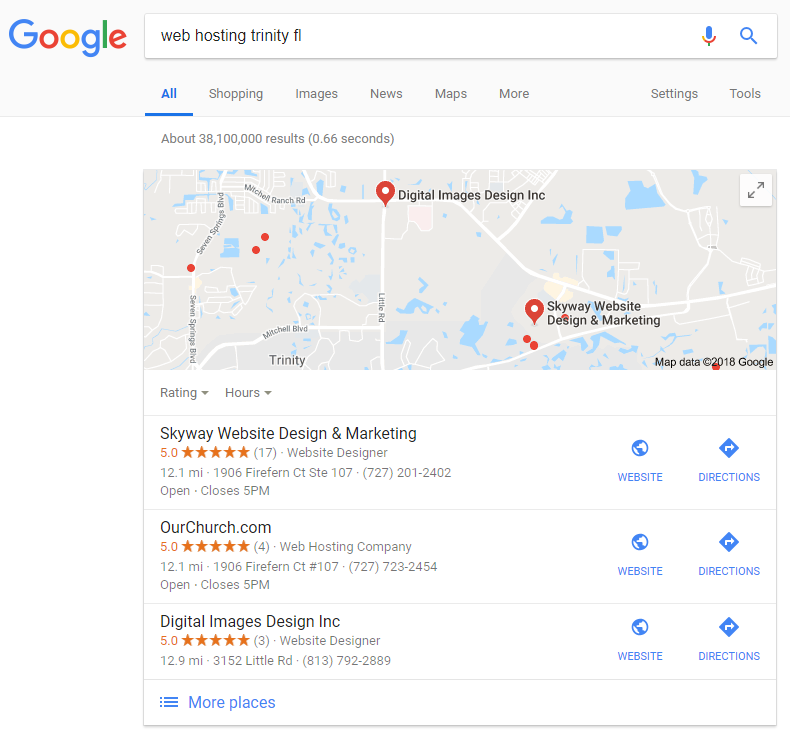 That will take you to Google Maps showing you the top 20 local results. Scroll down to the bottom, and calculate the average number of listings of the bottom 3 (these are the organizations that rank 18-20). Do you see a dramatic difference? That may be true, but look again at the organization that made the local 3 pack with the lowest number of reviews. I guarantee your church, school, ministry or business serves more people than that. You can get more online reviews than they have. You just have to ask. And know how to ask. We’ll talk more about how to do that in a future post. By the way, if were wondering what the #1 factor in local search results is, it’s good organic (or general) search results. If you’d like some help with your organic or local SEO, one of our experts at OCC would love to talk with you. Just request a free phone consultation. When you did the little experiment, what did you search, what were the average number of reviews in the local 3 package, and the average number of reviews for 18-20? What other questions do you have online reviews and local SEO?